Monsters at Work, a Monsters, Inc. TV Series Announced | Nerd Much? The Disney+ slate of offerings is looking more and more impressive by the day. Disney revealed that they’re developing a Monsters, Inc. TV show for the upcoming streaming platform. 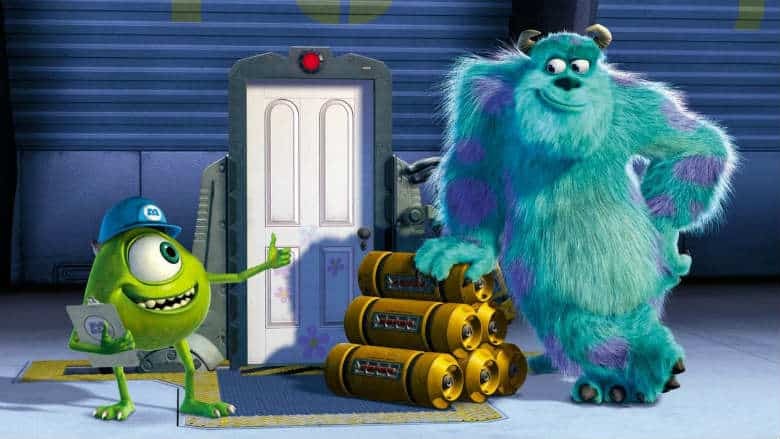 Entitled Monsters at Work, the series will be set six months after the events of Monsters, Inc. and will feature John Goodman and Billy Crystal reprising their roles of Sulley and Mike. In addition to Feldman, Disney confirmed a handful of other actors lending their voices to the Monsters at Work series. Notable names include Henry Winkler, Aisha Tyler, Kelly Marie Tran, Alanna Ubach, Lucas Neff and Stephen Stanton. Pixar won’t be helming the upcoming show. Instead, Disney Television Animation will produce the project with Bobs Gannaway leading as executive producer. Ferrell Barron is credited as a producer, with Kat Good and Rob Gibbs set to direct. The more we hear about the Disney+ streaming service, the more it sounds like a viable competitor to Netflix’s throne. It’s said to feature Disney’s entire film catalogue. And it has a ton of original programming on the way that fits right up our nerdy alley. Recently reported was an animated Marvel What If TV show. There are numerous Star Wars shows in the works. As well as several live-action side stories focusing on prominent characters within the Marvel Cinematic Universe. Disney is expected to pull the curtain back on their Disney+ streaming service on Thursday during an investor’s event at the company’s Burbank, California studio.